In 1988 at the peak of his popularity, Ernest P. Worrell took us on a 95-minute comedic journey to find a successor for Santa Claus. Ernest Saves Christmas was released on November 11, 1988 amidst the airing of the Saturday morning TV series "Hey Vern, It's Ernest." Although the film was not a critical success, it remains a Christmas cult classic for those of us who remember when Jim Varney's character was larger than life. I remember watching Ernest Saves Christmas (and Ernest's first feature film Ernest Goes To Camp) in the movie theater. For the 12-year old I was at the time, the slapstick humor and funny character portrayals were just my kind of humor. Later when the film came to VHS, I also remember rewinding several parts while watching with a friend and laughing until we could barely breathe. Ernest Saves Christmas is a must-see for me every Christmas season. I now get to laugh and recite lines with my kids each year which makes it even more enjoyable. I obviously think it's the best movie in the Ernest series although my high school years kept me from watching all of the films. After my annual screening this year, I decided to research and share some facts about the movie. 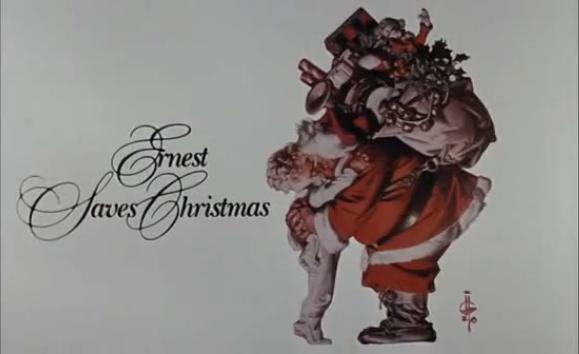 Ernest Saves Christmas was the most successful of the entire series at the box office. The film made over $28 million over its 8-week run on an estimated $6 million budget. Debuting the same week, Chucky kept Ernest from reaching the #1 spot. 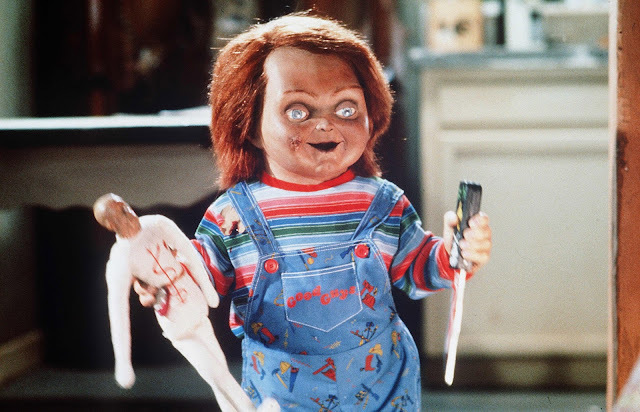 The horror film Child's Play earned $9.6 million at the box office while Ernest Saves Christmas brought in $7 million. The films The Land Before Time, Scrooged, The Naked Gun, Twins, and Rain Man all debuted in the following weeks pushing Ernest out of the theater. 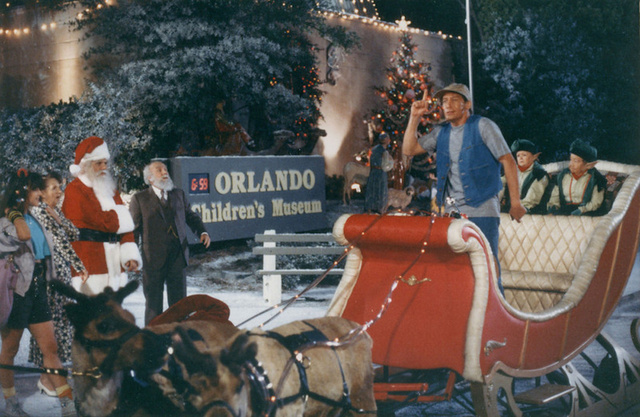 Ernest Saves Christmas was the first feature film shot and produced almost entirely in Orlando, FL. Locations included the then-unfinished Disney-MGM Studios (also a film first) while all the other exterior locations were in the greater Orlando area. The local FOX affiliate WOFL was also used for some interior shots. I also found this fun YouTube video of filming locations 24 years later. 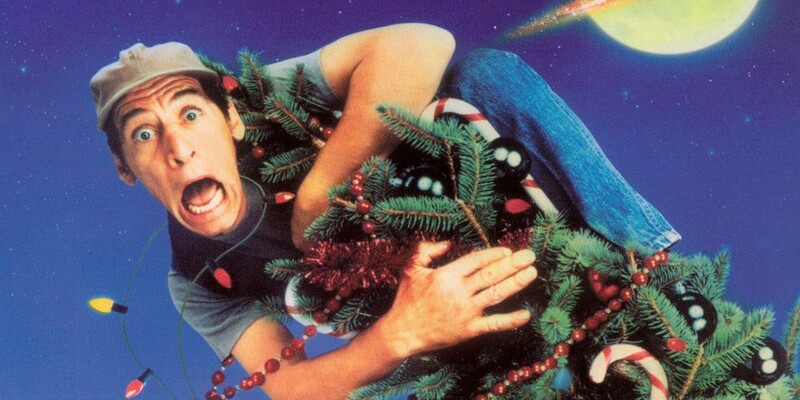 Vern's only "appearance" in the entire film series was when Ernest delivered a Christmas tree to his house. Vern's house was actually located at Disney-MGM Studios on Residential Street and was part of the Studio Backlot Tour until 2002 when it was demolished. Ernest portrays three other characters during the film. 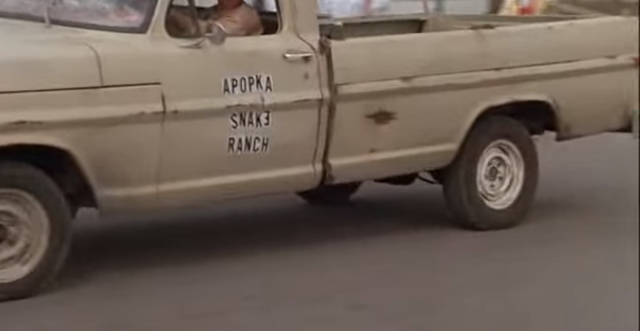 He was Auntie Nelda Worrell posing as Martin Brock's mother, Astor Clement when springng Santa Claus out of prison, and "the Snake Guy" (Lloyd Worrell) when trying to sneak Santa into the movie studio to see Joe Carruthers. 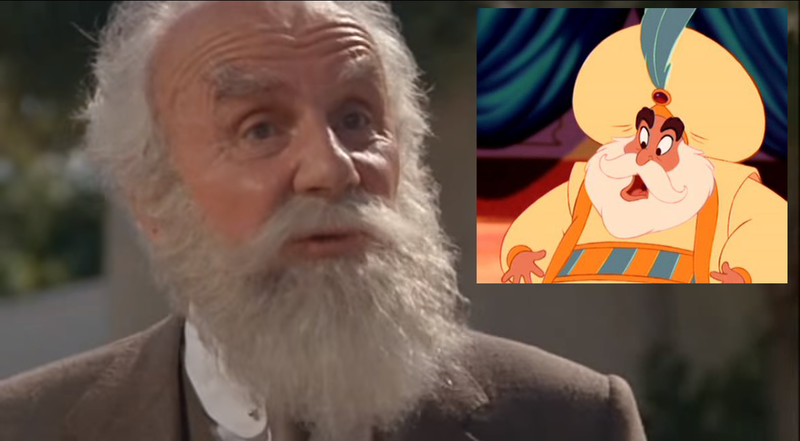 Douglas Seale, who played Santa Claus in the movie, also voiced the Sultan in Disney's Aladdin. He also voiced Krebbs in The Rescuers Down Under. 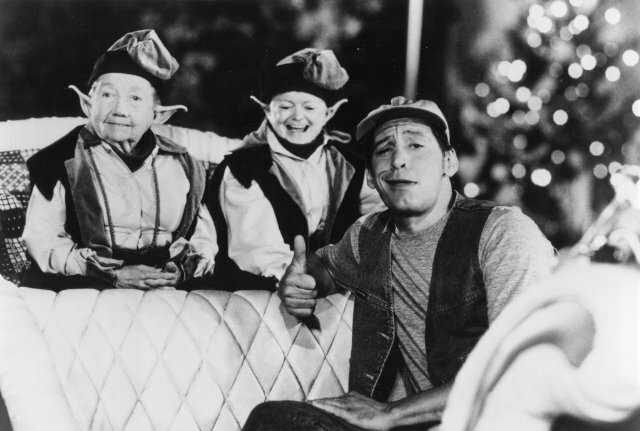 Chuck and his brother Bobby made their theatrical debut in Ernest Saves Christmas. They were first featured in the Hey Vern, It's Ernest TV series and would also appear in Ernest Goes To Jail. 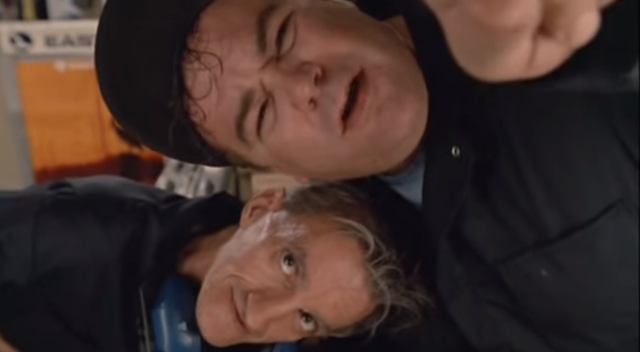 Actors Gailard Sartain and Bill Byrge did appear in other Ernest movies, but as different characters. Billie Bird, who played Santa's love interest Mary Morrissey, also appeared in the Christmas-based film Home Alone. She was part of the elderly couple that Kevin's mom befriends at the airport (thanks to my son Jameson for identifying this to me just this year.) She also guest starred in several TV shows and films throughout the '80s and beyond. The name "Apopka Snake Ranch" on the side of Ernest's truck was chosen by executive producer Joseph Akerman. He went to high school in Apopka Florida, a suburb of Orlando, where most of the filming was done. Noelle Parker, who plays Pamela Trenton aka Harmony Starr, also portrayed the title character in the 1992 TV movie Amy Fisher: My Story. She was also nominated for a Daytime Emmy in 1993 for her performance in the CBS Schoolbreak Special "Different Worlds: A Story of Interracial Love." Ernest Saves Christmas is the only movie in the Ernest series that does not contain a true antagonist. There are characters like Pamela and Joe's agent Marty Brock who work against the plot, but no character is a true adversary to Ernest. 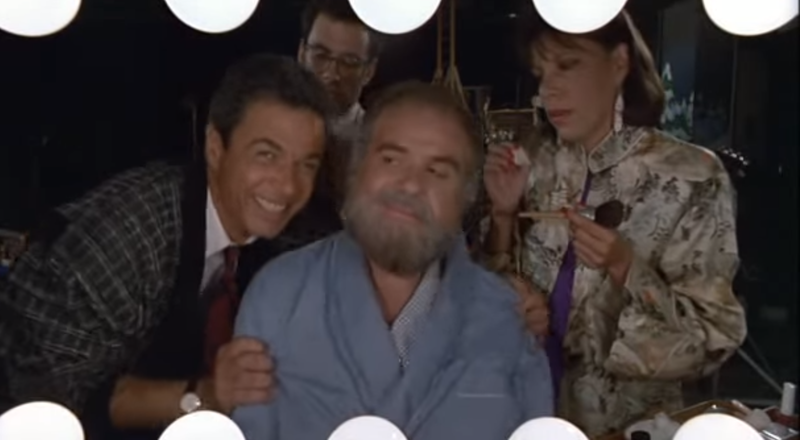 And speaking of the character Marty Brock, actor Robert Lesser was also featured in another (sort of) Christmas movie, Die Hard. He protrays the airline passenger at the very beginning of the movie who advises John McClane about the comfort of taking off your shoes and socks. We all know how that turned out. One of the elves was a girl. Actors Buddy Douglas and Patty Maloney played the parts of Thisbe and Pyramus, "the helper elves." Maloney also operated the Crypt Keeper puppet for "Tales From The Crypt" with John Kassir providing the voice. Soundtrack composer Mark Snow produced a promotional CD in 2002 with 25 tracks from the film. An official soundtrack was never released. If you want to rediscover Ernest Saves Christmas, find it for free on YouTube or purchase the DVD on Amazon.